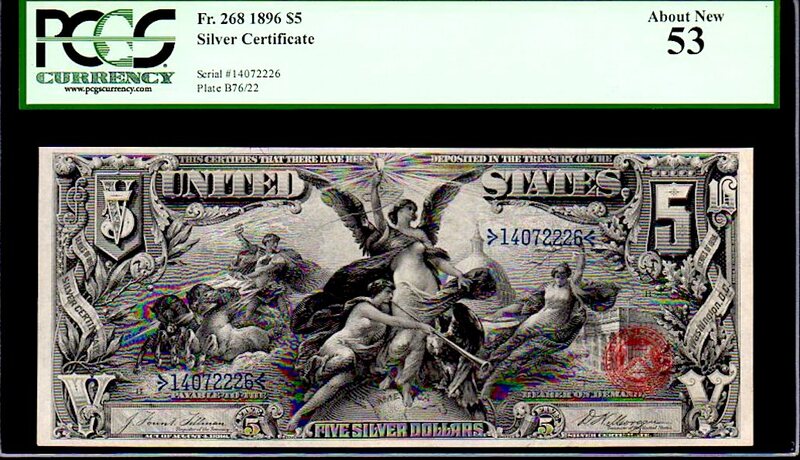 This piece is FAR Superior to another Fr 268 on eBay now for $8,950 (same grade of 53) and is also nicer than the third PCGS 53 also listed at $8.5k. What elevates this piece is that there are No distracting Folds or any other issues. Also the Corners are VERY SHARP and it has nice Margins and deep Colors! 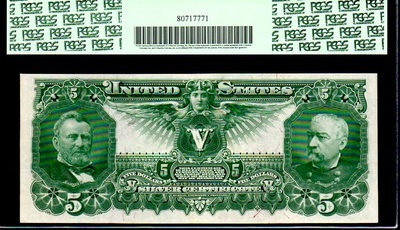 Perhaps “THE” most beautiful design of US Currency (depicting the the Introduction of Electricity). 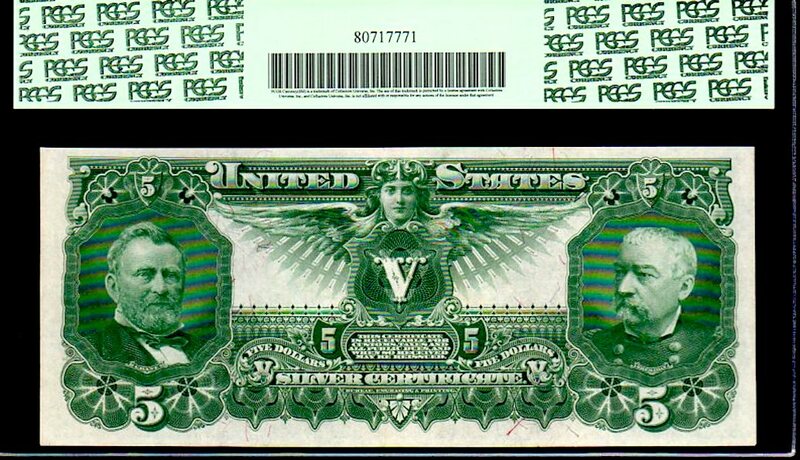 Also, JP Morgan was the first resident to have electricity in his residence (literally installed by Thomas Edison) in the same year as this note 1896! 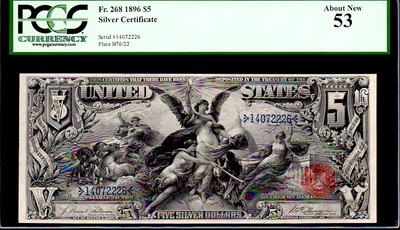 FR 268 $5 US SILVER CERTIFICATE PCGS 53 “EDUCATIONAL” NICE MARGINS & COLORS!